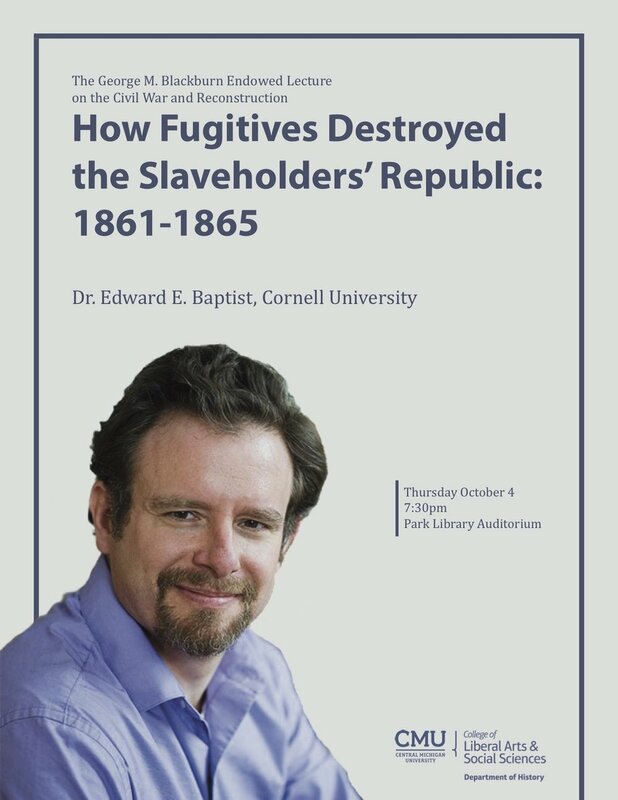 Please join us in the Park Library Auditorium on Thursday, October 4th at 7:30pm for this year’s George M. Blackburn Endowed Lecture. We are pleased to have Dr. Edward E. Baptist as our speaker this year for what will definitely be an engaging and exciting lecture. We will see you there! AHA has complied a list of resources, with links, on the Confederate monument debate: "In the wake of the Charlottesville tragedy, historians across the country provided important historical context and insight to the public. The AHA compiled statements that our members, fellow historical societies, AHA Council members, and staff have made in op-eds, interviews, and other media conversations about the importance of historical thinking and knowledge within the current debate. The AHA’s statement on how these issues relate to the discipline of history will be forthcoming."